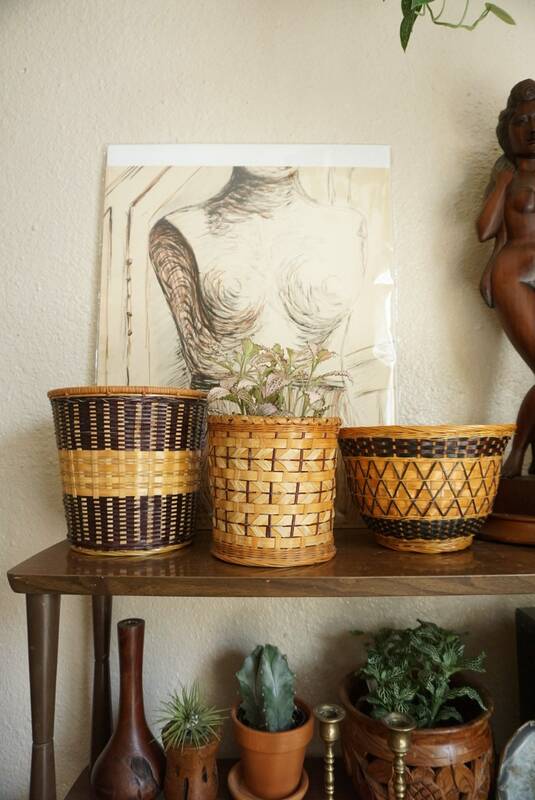 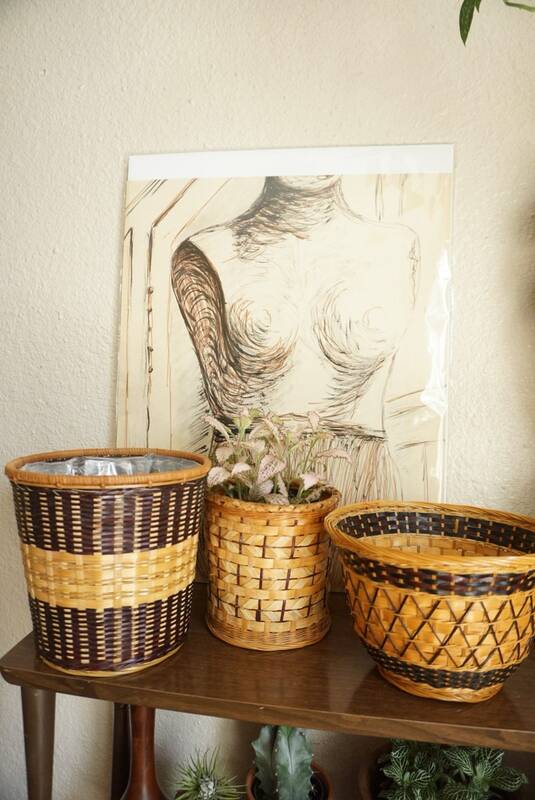 Set of three (3) split rattan baskets. 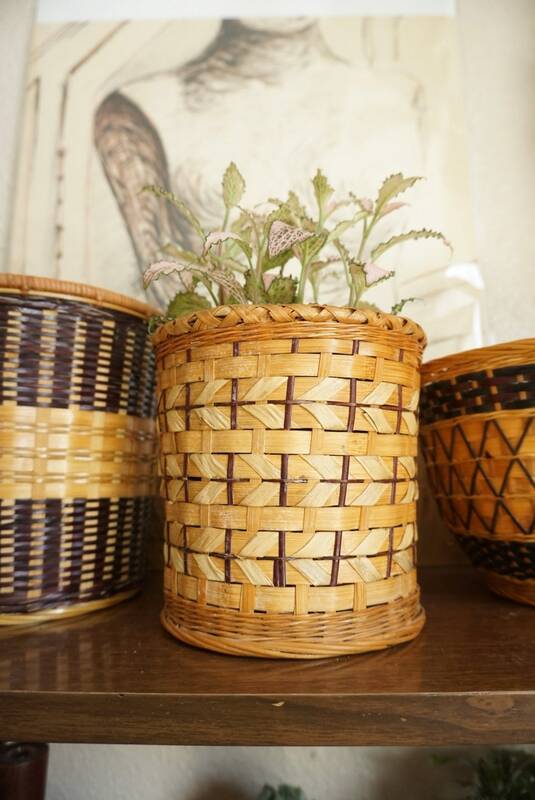 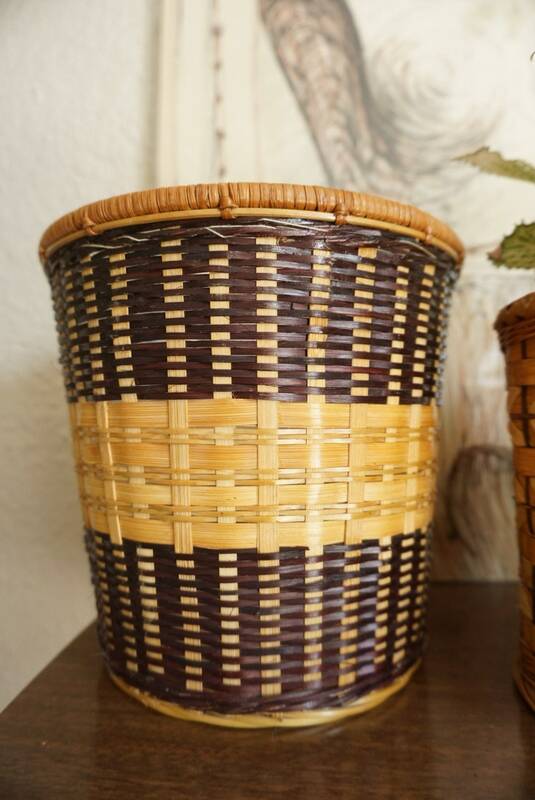 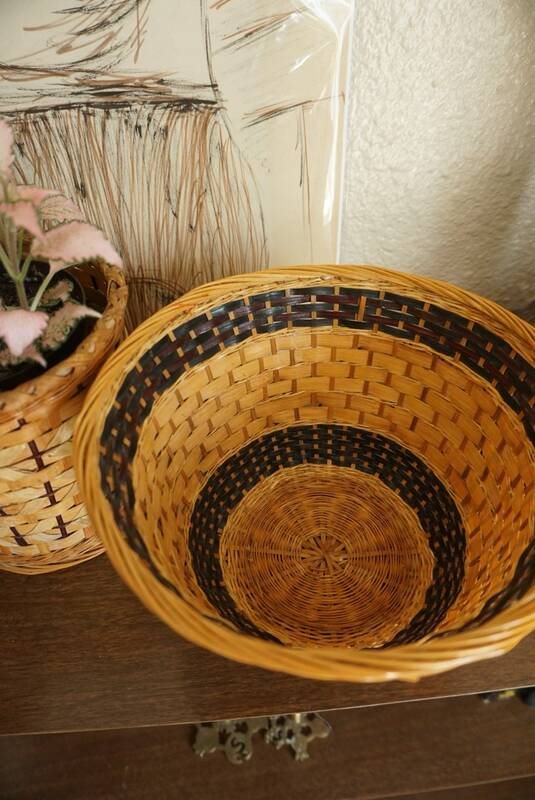 Woven light and dark brown (almost black) baskets with an ornate weave pattern. 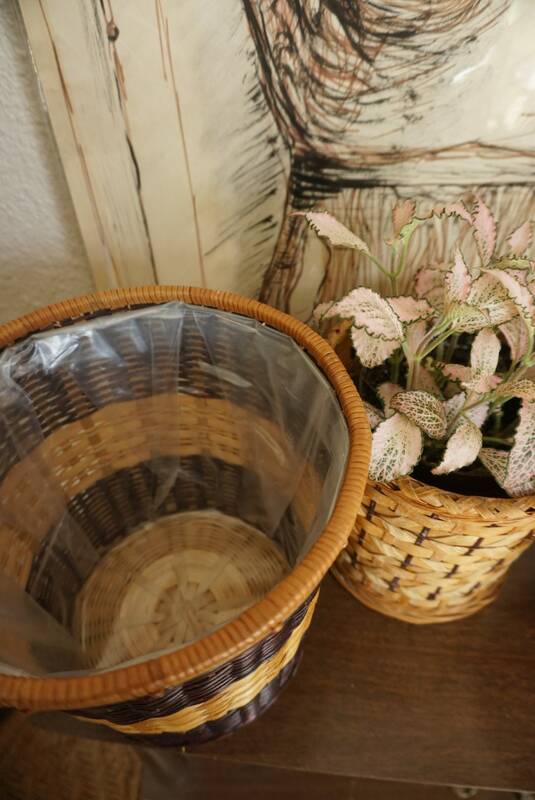 Good vintage condition with light breakage in various spots and residue from past use, especially in interior. 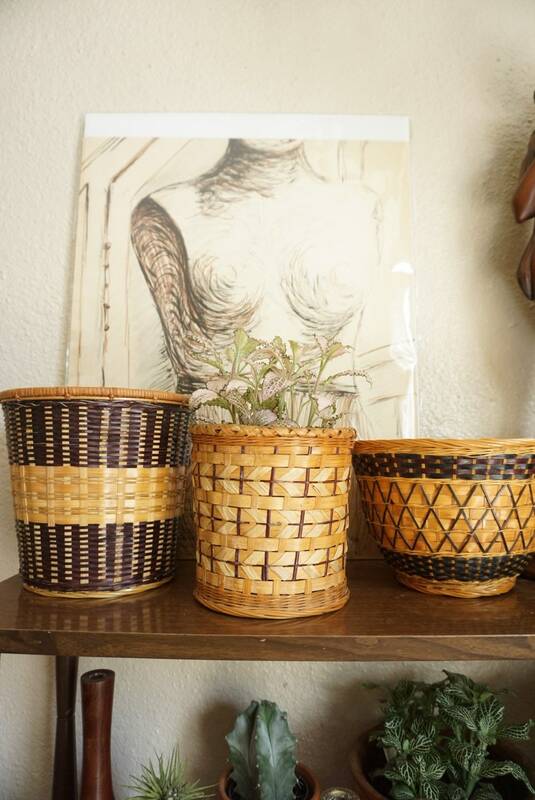 Great various sizes for all types of plants.